Weddings are, by nature, highly personal events. As such, you want every aspect of your special day to reflect your tastes and personalities. Determining the right season for your wedding is a huge first step that can help focus the rest of your planning, from menus to color schemes, music and invitations. Not sure which time of year will suit you best? Considering the pros and cons of each season can help aid your decision. Pros: Your wedding is a new beginning, and springtime is a perfect metaphorical backdrop for this life changing step. New leaves are unfurling and flowers are budding. Temperatures frequently hover in that perfect space between pleasantly warm and refreshingly cool. The abundance of fresh fruits and vegetables works well for those desiring a fresh, seasonal menu. Spring lends itself to a lighter color palette like pastels and pairs well with soft floral designs and tunes for decorations and invitations. Cons: With all those fresh blooms comes the biggest downside to spring weddings: allergy season. Spring is also graduation season, which may cause a scheduling conflict for a number of guests. Additionally, the closer you get to summer, the greater your chances are of running into competition for vendors or locations as you approach peak wedding season. Pros: Summer is popular wedding season for many reasons: long days with plenty of sunlight, beautiful scenery for photos, abundant flowers, and minimal conflicts with school or other holidays. 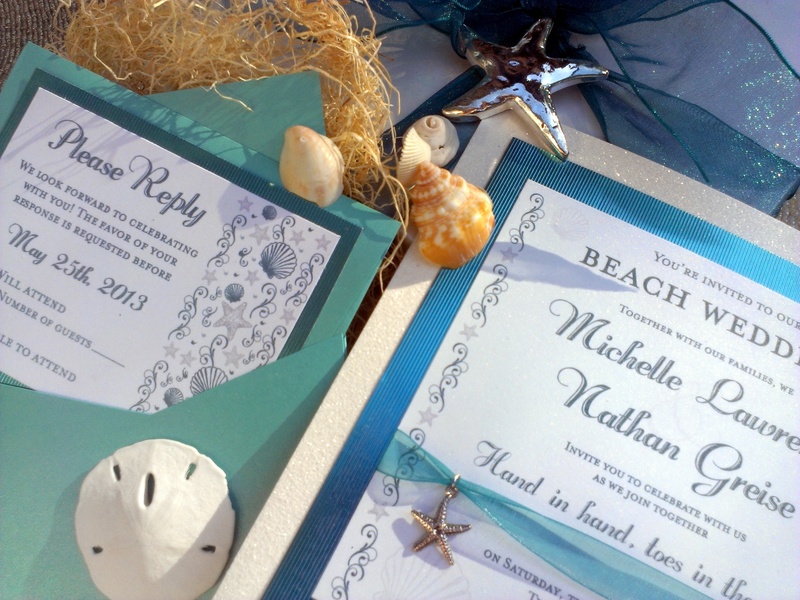 It’s the perfect time for outdoor ceremonies and receptions. It’s also the perfect season for those desiring a destination wedding, as guests might be more willing or able to combine attending your wedding with summer vacation plans. As for color palette and decorative choices, summer is the time to go big or go home. Go wild with vibrant bridesmaids’ dresses and/or colorful blooms. 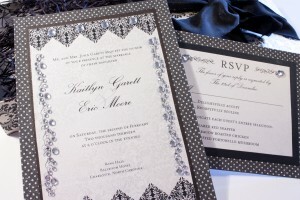 Get playful with your invitations and don’t be afraid to try something unique, colorful, or quirky. Cons: The days may be long but they are also hot hot hot. Summer heat and humidity can cause flowers to wilt, make up to run, frosting to melt, and guests to sweat like crazy. Bugs are also out in full force, which can make for a miserable reception if you don’t take preventative measures. And, as the peak of wedding season, summer results in higher competition for venues, vendors, and other must haves. Pros: One word: foliage. Autumn weddings can take advantage of the beautiful back drop of the changing leaves. As with spring, temperatures are cooler but outdoor weddings are still possible, especially early in the season. Fall weddings pair well with down-to-earth décor and earthy or autumnal color palettes. You can even incorporate a bit of nature into invitations by using pressed leaves, or in your decorations by using rustic centerpieces that utilize more branches or leaves than out of season blooms. Cons: School is back in session which means parents with school aged children, college and grad students may have a more difficult time taking off for your wedding. While the weather can be cool but temperate, you run the risk of having an early cold snap ruin your plans for outdoor festivities. Pros: Winter always provides a unique and memorable backdrop, either with stark scenery or snowy landscapes. It’s the perfect season for those desiring more traditional, elegant colors and themes: classic combinations like red, white and black work especially well with a wintery theme. Although holidays can be a con (see below), they can also be a plus for those who wish to embrace the holiday season. Book a reception venue with roaring fireplaces, serve cocoa and give away chestnuts and candy canes. Send out elegantly scripted invitations that play an instrumental version of your favorite carol to get your guests into the seasonal mindset. Cons: Winter is filled with scheduling conflicts and unpredictable weather. Either your run into scheduling conflicts with major holidays, or your run the risk of having your plans halted or delayed due to snow and ice. While winter landscapes are beautiful, your bridal party might not be willing to freeze in order to get outdoor photos, limiting you to indoor shots. Outdoor receptions are generally out of the question, which means more logistical problems (like preventing the flower girl from running riot through a nice hotel or keeping the cigarette smoke from smoking guests from interfering with the health or wedding experience of the non-smokers). While it is important to keep the cons in mind, it is most important to pick a season whose pro column matches your needs. Pick the season you love and then do your best to plan for any conflicts or problems. At the end of the day, you’ll be married to the love of your life; isn’t that the most important part? It started at the dinner. My son and her daughter had announced their engagement two weeks before. They invited my husband and I, parents of the groom, her – the mother of the bride, and her ex-husband and his new wife to dinner. The dinner was the first we were to hear about their wedding plans, the vision they had for what they wanted, and what role we were all to play. We talked first about the location. Then we talked about different things that needed to be done, and we talked about the finances of all of it. I thought we were all cooperative and supportive through all that. After all, isn’t money the thing that gets people in a tizzy? Not us. It was her. And the mention of the mother of the bride’s and the mother of the groom’s dresses. 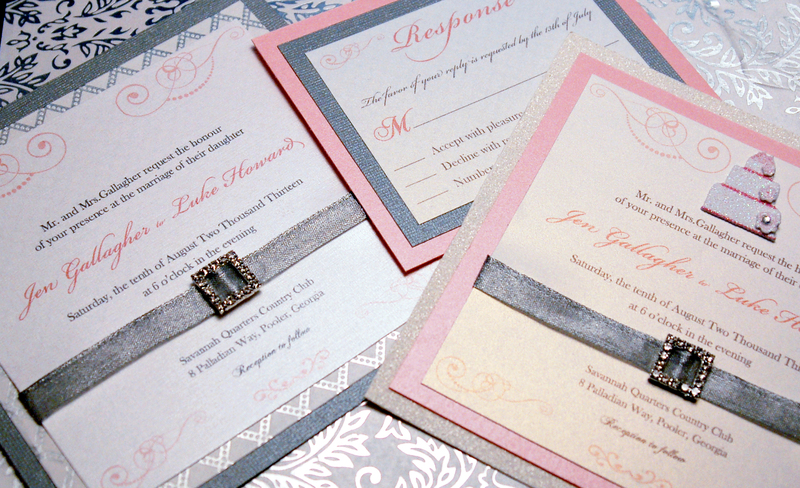 Joanna, her daughter and the bride, wanted us to have a dusty blue hue – a warm and inviting grey colour. That was her only request. Joanna was leaving it up to us to discuss further coordination, but she made it clear she wanted us to feel comfortable and like ourselves. She did not want the dresses to match by any means – which came as a relief to me. I was nothing like her – Ulrika – Joanna’s mother. Erik, my son, was wisely staying out of these details of the planning. And in truth, at the dinner, Ulrika said nothing too provocative. It’s looking back on it that I can see the mention of the dress, the way she looked at me up and down, critically, that I understand she was starting the competition there and then. We left the dinner with plans for Ulrika and I to meet and shop together after the wedding gown and bridesmaid dresses were chosen. She was helping her daughter through that, then we would meet to choose our dresses. She had the upper hand already. We both knew it. I tried to be polite, but I could already see she was determined to control the outcome. She had her dress picked out, finding it in a boutique with bridesmaid’s dresses. She wanted me to choose another she had picked out. I’m all for being agreeable but she was suggesting a style I knew looked awful on me. I had to decline. I would be self-conscious the whole wedding day. We shopped together for a few more hours, and the tension just continued to build between us. Finally, I suggested that now I knew what she was wearing, I would shop for something that was of the same hue that Joanna wanted on my own. I didn’t need to waste her time, I said, and alluded to how busy she was. In the months leading up to the wedding, it became a real fashion contest for us. Shoes were another big deal. I had shown the dress I found to Joanna, who approved, but I kept it from Ulrika’s critical eye. The shoes I thought I could show her. It was a bad decision. She insisted we both have a substantial heel, but closed-toe. I had bought open-toed shoes. She showed me her handbag that matched her dress. It was exquisite and far more money than I would want to spend. I found an equal exquisite hand-bag and had a big argument with my husband over buying it. The jewelry was the next thing. We unofficially decided to not show each other anything more, and save the ‘revealing’ for the wedding day. I knew I would have to have earrings that bedazzled as much as the handbag. My husband would just have to forgive me. I was getting more and more determined that I had to get more compliments than Ulrika from the guests. She would give me that self-righteous look of contempt forever if I didn’t. I bought diamond earrings, a beautiful diamond necklace, and I booked an elite makeup artist and hairstylist. I wanted to win the wedding fashion contest! The day of the wedding, it turned out, we were both outshone by the stepmother. And not only did I learn a lesson in humility, but I also learned what it was like to loose perspective to what was really important – my son getting married. He, at least, thought I looked fantastic. 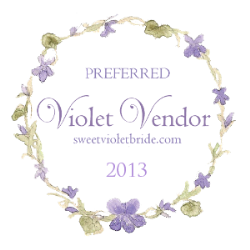 Seeking Real Wedding Submissions for #Wedding Wednesdays! 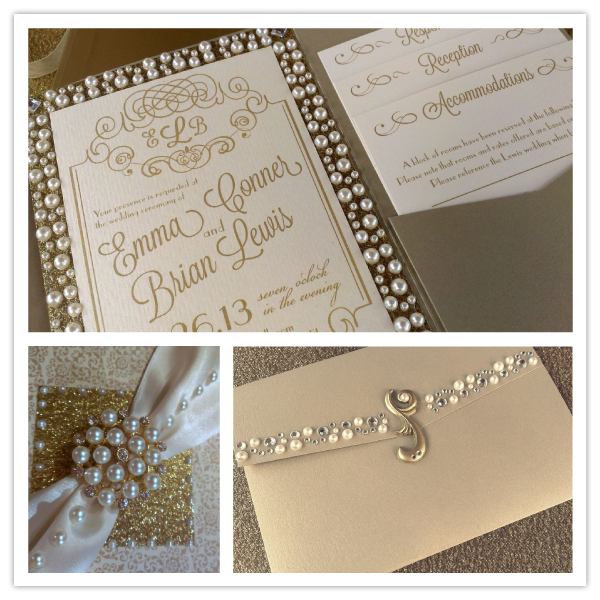 Music Box Invites LOVES weddings and wants to share REAL weddings with our Blog and Facebook fans. So beginning in April, each WEDNESDAY we will focus on a real wedding. Wedding submissions can be from wedding planners and/or actual couples or their families/friends. There are very few rules ..
We don’t care WHEN the wedding was – 10 days or 10 years ago, doesn’t matter to us! 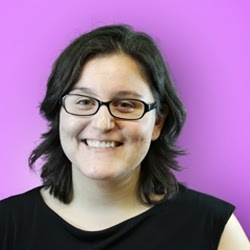 Keep it short – no more than 5 pictures and 3 paragraphs – we WILL edit to make the blog read better but try to keep it sweet and to the point. If someone other than the couple is submitting the wedding, we need to have the couple’s permission and their email address so we can follow up with them. If you are chosen (and we will try to choose EVERYONE who submits), we will get back to you and let you know what day it will be featured on our blog/Facebook page so you can share it with all your friends. 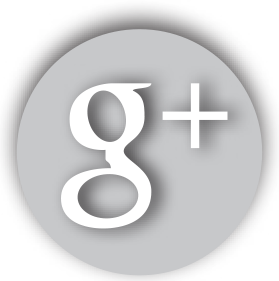 You will need to LIKE our page to do so. 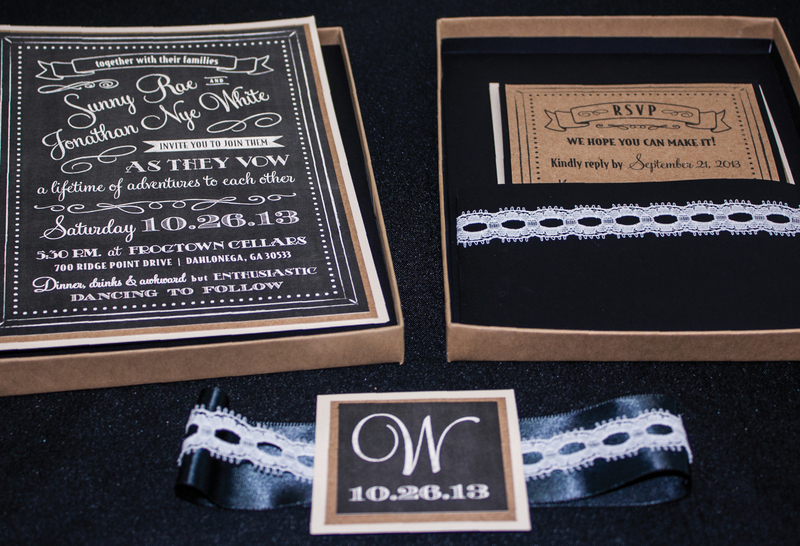 So please SHARE your wedding with Music Box Invites! 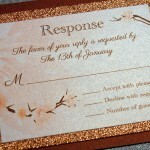 Response cards make keeping track of your guest list much easier. According to Emily Post, the response card is inserted with a wedding invitation and is engraved or printed in the same style and paper stock as the invitation. Most people pre-address and stamp the reply envelope to make as easy as possible for guests to RSVP via mail. If you would like to receive replies via email or telephone, that’s fine, just include the necessary information on the response card. 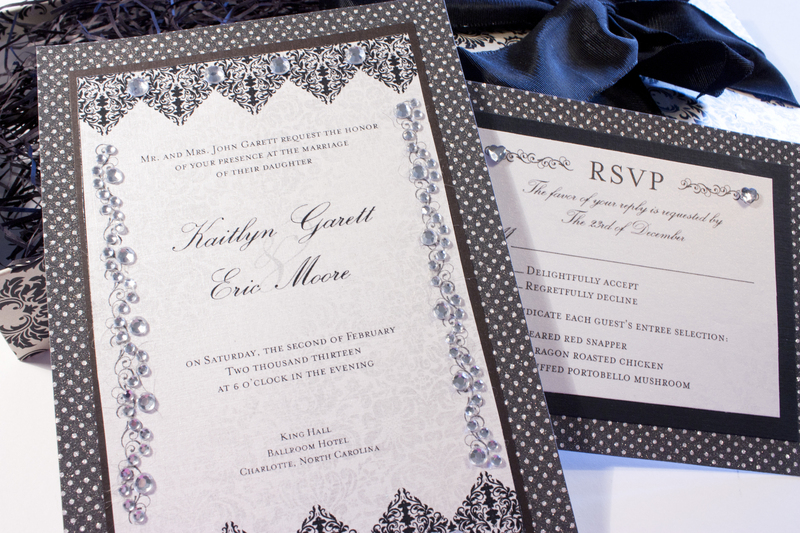 Regardless of the medium, RSVPs are essential tools to help you organize and monitor your guest list. 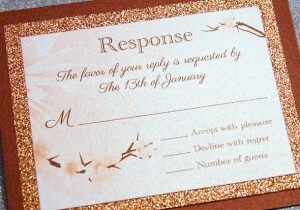 So here is a guide to how to word an RSVP card. 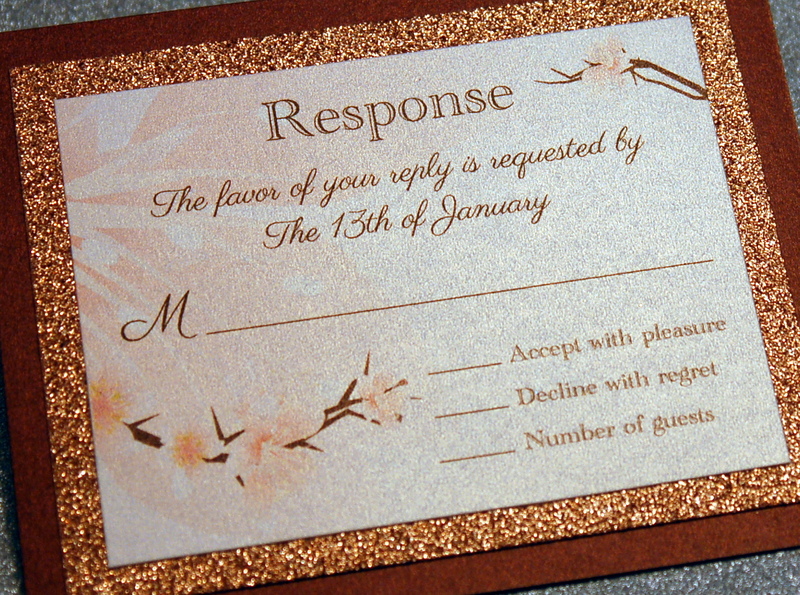 Below is an outline of how an RSVP card should look. 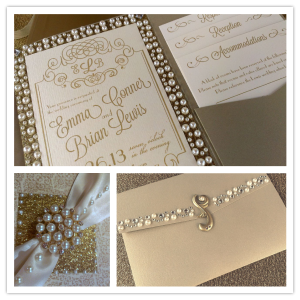 Remember, Music Box Invites can help you with all your invitation needs!